If you need to cut cake layers in half, there is a simple and accurate method that does not involve messing with knives or having your cake roll across the countertop. 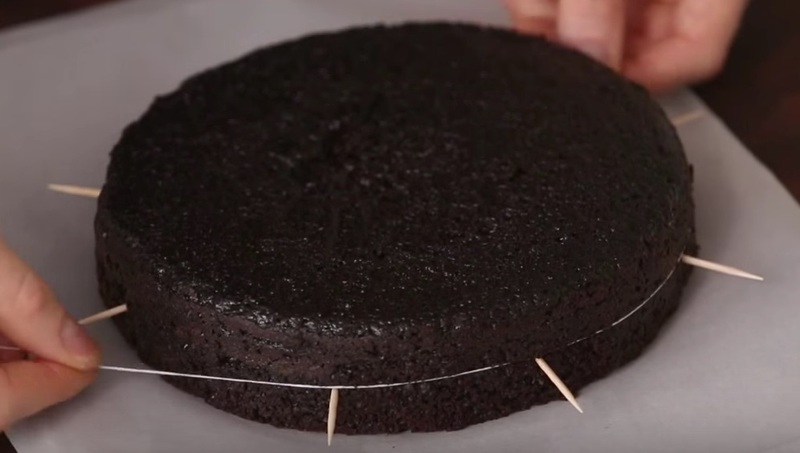 With floss and some toothpicks, you can slice the cake in half with ease. Watch this Food & Wine video for a genius tip that anyone can do.